DO YOU KNOW THAT YOU’VE BEEN TOUCHED? 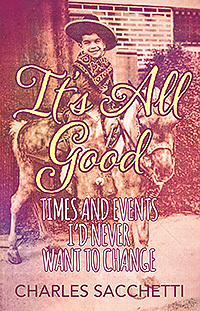 In 2017, soon after the author published his first book, It’s All Good: Times and Events I’d Never Want To Change, he had a feeling that there was more to be done. 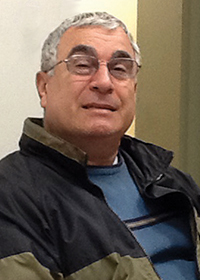 While attending mass one Sunday, he realized that God was doing the nudging. 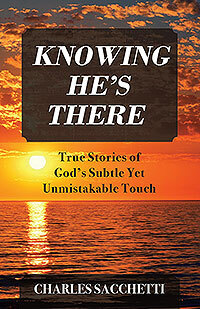 Clearly, it was time to write Knowing He’s There: True Stories of God’s Subtle Yet Unmistakable Touch, a book highlighting how our loving God demonstrates His presence in our lives. The author writes of experiences through which one can see God’s influence, as these twenty-five essays are presented in ways that are solemn, humorous, and heartwarming. Throughout this work, his strong relationships with family, friends, and the influences of his ethnic heritage and religious, middle-class upbringing are obvious. Before the writing began, it became apparent that God had touched the author’s life in many ways, often quite subtly. He reasoned that God wanted him to discover the source of these blessings for himself by raising his awareness. This book is written with the hope that readers will at least consider God’s possible influence on their lives, both in the past and in the present … not to mention the future.